The matador shielded himself with the red cape. Fancy footwork wasn’t going to win against this bull. 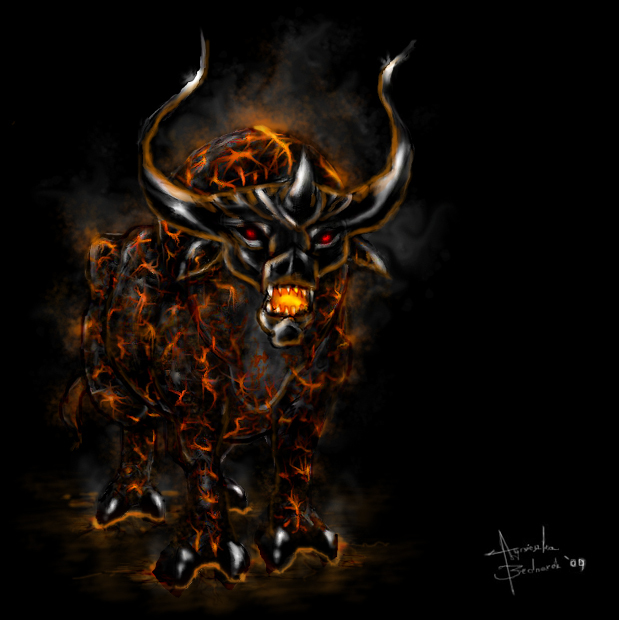 Horns ablaze the bull huffed, grinding his front hooves against the dirt. It charged head down, and set fire to the fabric. The flame singed the matador’s skin. Sizzles and screams echoed against the arena walls as the smell of burning flesh filled the air. When the opponent was nothing but bones the bull raised the skeleton onto his horns to the applause of the audience and walked back to the gates he came from, the gates of Hell.